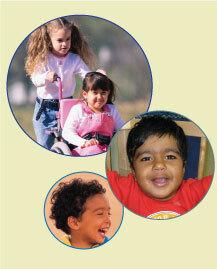 ENHANCE is a research project designed to improve the quality of child outcomes data. It consists of a series of studies examining the quality of the data being collected through the Child Outcomes Summary Form (COSF) process. ENHANCE will help to understand the conditions under which the COSF process produces valid and reliable data; most states are using this process to generate data for federal accountability reporting for Part C and Part B Preschool services of the Individuals with Disabilities Education Act (IDEA). Furthermore, many states want to use their data for program improvement, and they need valid information about child outcomes to identify program strengths and weaknesses. The Early Childhood Outcomes (ECO) Center developed the COSF process to address states’ needs to build outcome measurement systems around child outcomes data that reflect multiple sources of information on child functioning. The COSF process involves local team members, such as early interventionists, therapists, teachers, and parents, synthesizing multiple sources of information on child functioning on each of three outcomes and converting the information into a single rating on a 7-point scale. The COSF process supports multidisciplinary “best practices” in early childhood assessment and is consistent with the approach promoted by numerous professional organizations. Comparison with Child Assessments. This study examines the relationship between two assessments administered by a member of the research team and the COSF rating assigned by the child’s interdisciplinary team. A total of 108 children in early intervention programs and 108 children in early childhood special education will be administered the Battelle Developmental Inventory, 2nd edition, and the Vineland Adaptive Behavior Scales, 2nd edition near program entry and again near program exit. Moderate correlations between assessment results and COSF ratings are predicted because the COSF rating reflects a team process incorporating multiple sources of information. Provider Survey. Providers involved in the COSF process in the 36 local programs (e.g., early interventionists, therapists, special education teachers, general early childhood teachers) have participated in a survey to explore their experiences with the COSF process including impressions of the tool, the process, the training and support they have received. Team Decision-Making. COSF teams in the local programs are videoing a total of 108 COSF discussions for children in early intervention and 108 children in early childhood special education that contribute to the accuracy of COSF ratings. To identify factors that contribute to the accuracy of COSF ratings, the videotapes are being coded by the research team both for structural elements (e.g., length of meeting, who was present, roles of attendees) and process elements (e.g., parental contributions to the discussion, rating consistency with evidence). State Data. The fourth study involves multiple and repeated analyses of COSF data and other data that states are collecting. State data from at least 12 state early intervention agencies and 12 state early childhood special education agencies will be analyzed. The analyses examine patterns in each of the state datasets to explore whether observed patterns are consistent with patterns expected if the COSF data were of high quality. The four studies will be conducted over the four years of the project. The provider survey data has been collected and is being analyzed. Data collection is underway for all of the remaining studies. Preliminary findings are being distributed to participating states annually. The findings from the four studies will provide the basis for recommendations for any needed improvements to the COSF process, the form, the supporting materials, or the training. ENHANCE is being conducted at the Center for Education and Human Services at SRI International in Menlo Park, California. We are grateful to the U.S. Department of Education for their support of the project. For more information about the project, please contact us.